After the beach, you just want an ice cream cone or a slice of pizza. 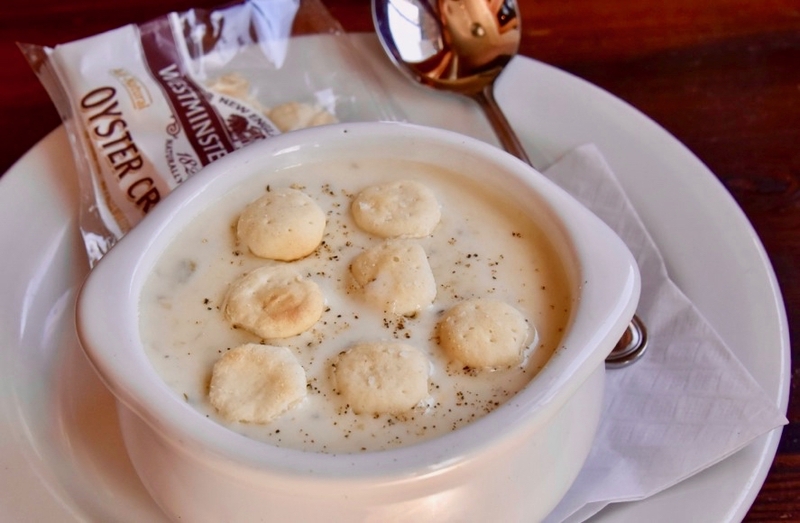 Or maybe a cup of chowder or some friend clams. Something salty or something sweet. Whatever you’re craving, once high summer hits (now!) and Circuit Avenue is hopping, you can find just about anything you’re looking for in Oak Bluffs. Biscuits restaurant, 26 Lake Ave.
Sea Smoke Barbecue, 7 Oakland Ave.
Martha’s Vineyard Chowder Co., 9 Oak Bluffs Ave.
Offshore Ale, 30 Kennebec Ave.
Back Door Donuts, 5 Post Office Square (back door), 7 p.m. to 1 a.m.
Giordano’s (aka Gios), 18 Lake Ave.
Ben and Bill’s Chocolate Emporium, 20A Circuit Ave.